Zip Buddy zip pulls are a great new way to accessorise and personalise your rucksacks, sports bags, jackets, hoodies, laptop sleeves, schoolbags, briefcases, kindle covers, suitcases, handbags, computer bags, camera bags, pencil cases, make-up bags, tents, sleeping bags ... virtually anything with a zip. You can also use your Zip Buddy as a charm on your handbag, mobile phone, keyring, dogs collar, belly ring - choose from hundreds of designs to get what you want or as a gift for anyone. Zip Buddy zip pulls snap easily onto almost any zips. Anyone can use one and they can be used on almost anything with a zip. Zip Buddy is a quality item made up of various elements so it is strong - after all it needs to be as you pull on it everyday. Each Zip Buddy zip pull has a metal clip, made from moving parts that swivel 360 degrees which means your Zip Buddy lies flat whatever you clip it onto. 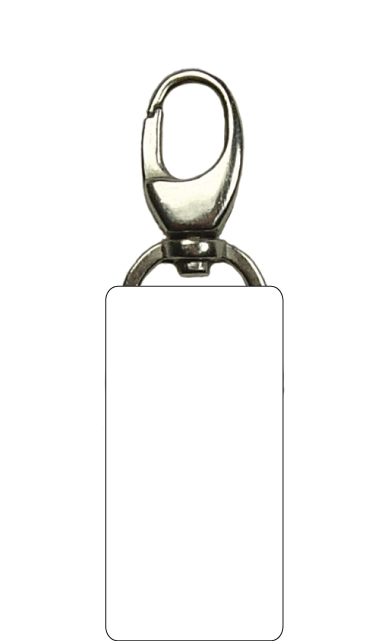 Zip Buddy is always double sided, whatever shape you choose - most other zip pulls usually have only one side featuring a design. It snaps on and off easily and doesn't have one of those annoying sticking out levers that catches on your clothes and in your hair. Hundreds of designs to choose from - you are bound to find one that you love. Don't replace a broken zip - use your Zip Buddy on broken zips by clipping it directly onto the stub on the broken pull. It is Exclusive - you will only get genuine Zip Buddys here. Variety of styles of Zip Buddy - there is one to suits all needs. There are currently two main styles of Zip Buddy zip pull available. The Zip Buddy Deluxe comes in a variety of colours with a square or round design area and the Zip Buddy Deluxe rosette is available in red only. The Zip Buddy Classic has a metal rectangular area beneath the clip where the design is affixed to both sides with your choice of dome resin design. If there is a design you would like to see available that isn't currently shown, drop us a line via the "contact us" page and we'll endeavour to add it to the range. Made with a woven scarf, the square deluxe Zip Buddy zip pull is the ideal Zip Buddy for your bags or big jackets, especially sports bags. Price = £2.99 (excluding p&p). It is 75mm long, 19mm wide and approx 5mm thick - the image area is 17mm x 17mm. The round deluxe Zip Buddy zip pull also has a woven scarf and looks and offers something different for you to add to you clothes or bags - whether they need a replacement zip or if you just want to attach it as a stylish accessory. It is 75mm long, 20mm wide and approx 5mm thick - the image area diameter is 18mm. What better way to show someone you rate them highly or recognise a prized position or event than with a "winners" red rosette Zip Buddy zip pull. It looks just like a traditional rosette with a red ribbon and your message or image is contained in the middle. It is 75mm long, 23mm wide and approx 5mm thick. The image area diameter is 13mm diameter. It is available in red only. It is 50mm long, 15mm wide and approx 5mm thick. The image area is 30mm x 15mm. It is 40mm long, 20mm wide and approx 5mm thick. The image area is 19mm diameter. It is 37.5mm long, 18mm wide and approx 5mm thick. 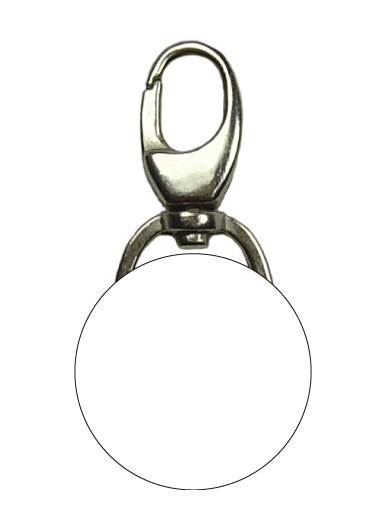 The image area is 17mm x 17mm.